Sherwin Bitsui, Margot Pappas, and Khadijah Queen are the 2011 recipients of the Mailer Fellowships in Poetry. Van Cleef & Arpels is the Anchor Sponsor of the poetry fellowship program, new in 2011. 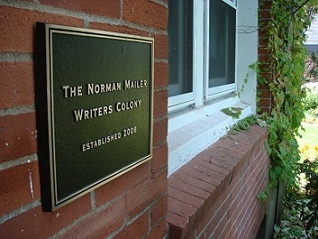 William Goldstein is the 2011 recipient of the Susan Mailer and Marco Colodro Fellowship in Nonfiction. Elizabeth Rubin is the 2011 recipient of the Denise and Dean Pappas Mailer Fellowship in Nonfiction. Igoni Barrett is the 2011 recipient of the Mailer Fellowship in Fiction.